Finding the right gift for any male in your life can be difficult. However there are some gifts which are pretty much considered “failsafe” gifts. Whether you need to buy a gift for a male teenager, a businessman in his thirties or your retired grandad, a pocket knife can be a great gift idea. Pocket knives are traditionally seen as gifts for outdoorsmen but in truth they are a “failsafe” gift for any man out there. Pocket knives make for a really great gift idea for many reasons. When buying a gift, you’ll want to get something that the recipient will not like but will get some use from. On special occasions, we can end up with so many gifts we’ll simply never use. A pocket knife is something that he’s likely not to leave the house without. It’s such an incredibly functional tool. It has so many practical uses that it’s worth carry with him at all times, even if he’s not venturing outdoors. From opening boxes to opening screws to punching a new hole in a leather belt, he’ll get lots of use from his new pocket knife. If you invest in a good quality blade, he’ll have it for years and years to come. You’ll often find that pocket knives are a gift that tends to be handed down from generation to generation. Who knows, by buying someone a pocket knife, it could well turn out to become a family heirloom. Invest in a good quality pocket knife like a Jacob Carlson pocket knife to ensure that it truly is a gift for life. 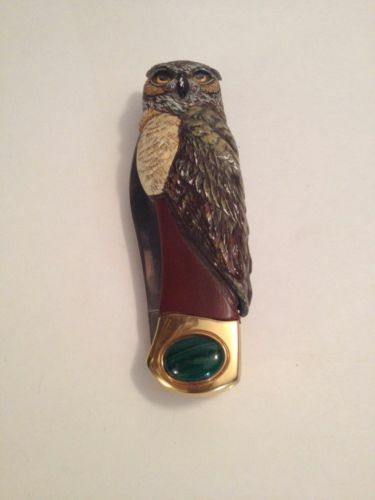 You can add your own personal touch to a pocket knife. Choose the handle type and/or colour to meet the personal preferences of the recipient. Many people also have the blade engraved to add a personalized touch. Engraving the blade with the recipient’s initials, the date or name of the occasion can be a really nice touch. Given the amount of times the pocket knife will venture out into the outdoors, personalized engraving can help it find its way back to the owner if it gets lost too. When a man receives a pocket knife as a gift, they tend to be eager to push the boundaries of its use. You’ll find that he may decide to finally start clearing trees, shearing wood, hunting or fishing. You may even find that he has a new found love for DIY as he tries to continuously explore new uses for his beloved pocket knife. Buying a pocket knife could well provide a burst of enthusiasm to explore new hobbies or acquire new skills. Struggling to find the right gift for a friend, boyfriend, husband, son, uncle, brother, father, nephew or even grandfather? Give them a gift they’ll really get some use of. Forget socks and t-shirts, consider buying them a pocket knife.